With the Lord's gracious help, we have completed our meetings in Ranau near Mt. 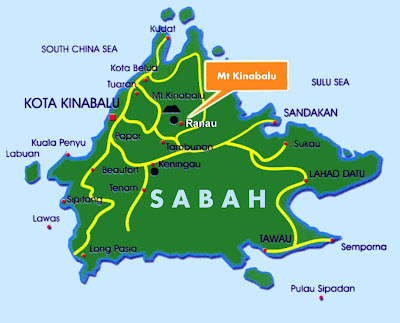 Kinabalu in Sabah, Malaysia. We have just arrived back home in Houston after a long journey from Ranau. The final evening in Ranau, where a climactic evangelistic healing service was conducted for the community, was very fruitful. The President of SIB for the state of Sabah came all the way from the city of Kota Kinabalu to attend and to see for himself. 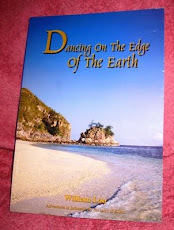 William presented the gospel and the word of God clearly in the Indonesian language which was understandable to the people. The trained disciples then came forward to heal the sick as proof that the message was true. Just as the evening before, many people came up to the stage to testify that the Lord had healed them. Among the testimonies was recovery of sight. We could not understand some of the testimonies because they were given in a local dialect. There was much excitement in the air. After the testimonies, people repented of their fruitlessness and complacency and returned to the Lord to serve Him wholeheartedly. The next evening we had dinner with the SIB Sabah President where he shared what he felt was the true impact of the meeting. In the states of Sabah and Sarawak in East Malaysia which are home to the indigenous people of Malaysia, the government is actively pursuing a program to convert the Christians to the M religion. According to government statistics the indigenous people groups constitute 80% of the entire Christian population of the country of Malaysia. The remaining 20% consists mostly of ethnic Chinese and Indian Christians. Many of not most of the indigenous Christians are found in the SIB Church of Sabah and Sarawak in East Malaysia. (SIB stands for Sidang Injil Borneo, or Gospel Assembly of Borneo.) In its attempt to islamicize Malaysia and to mimimize Christianity, the government is now targeting these indigenous Christians. Generations ago, SIB experienced revival and growth. But the last two generations have not met God in that way, with the result that many indigenous Christians are either nominal or weak in their faith. Because of that they have become relatively easy targets for the government. The result is that the Christian population of Sabah has been steadily shrinking as a percentage of the total population of the state. It is now down to 28%, with 60% following the M religion. The government typically use very tempting material incentives to lure weak Christians away from the Lord Jesus Christ. This dire situation was made clear to us Friday evening during dinner with the President of SIB Sabah, with 100,000 members in over 500 churches in the state under his authority. However, he witnessed something on Thursday evening at the Evangelistic Healing Service which gave him great hope. He heard many testimonies from people who had been healed when the trained local leaders and believers laid hands on them---and not through the ministry of a superstar, one-man-show evangelist imported from the outside. He saw the excitement in the crowd of about six hundred Christians as the people testified. And the amazingly large offering received that evening for the work of the gospel---over 4,000 Malaysian Ringgits---was itself unheard of for Ranau and offered further evidence that the Lord was reviving his people. 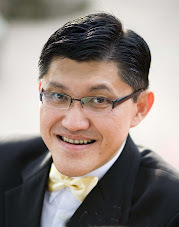 The SIB President sees that by repeating Elijah Challenge Events in his other districts in Sabah state, the Christians will be revived and no longer lured away to the M religion by the government. When weak believers witness miracles of healing done in the name of Jesus, they will have no more doubt that He is the only way to God (John 14:6 & 11) and their faith will be strengthened. Therefore, at the President's invitation we will be back next year. We will also involve our Elijah Challenge Indonesia Coordinator Davy Hernanus who will be able to travel to Sabah from nearby Indonesia conveniently. The President has decided also to host us and The Elijah Challenge Training for the major state-wide General Conference in 2012. Initially, we had thought that the Elijah Challenge Training would be used to equip SIB to win animistic villages in the interior to Christ. But the President told us that these villages comprise only about 2% - 3% of the population of Sabah. The far greater priority is to prepare the believers for the great and terrible Day of the Lord---the Second Coming of Jesus Christ---by bringing them back to the Lord. This can be done by preaching repentance to God's people in the power of miraculous signs as did Elijah on Mt. Carmel. This, then, will be the primary purpose of the Elijah Challenge Training in SIB Sabah: to equip SIB leaders to proclaim repentance to His people in the spirit and power of Elijah---"prepare ye the way of the Lord!" We rejoice that we can be a part of what we will be a significant move of God in the state of Sabah. Thank you for partnering with us, dear ones!